Families affected by deportation will be attending hearings and holding vigils outside Congressional buildings throughout markup. Congressional offices will be flooded with lobby visits from hundreds of family members. Legislators will be receiving tens of thousands of photographs of families that will be impacted by the bill, all in an effort to keep the stories of families like Silverio’s a top priority. Despite these challenges, Silverio continues to fight for his family. He received his GED in 2012 and is currently working toward a degree in computer engineering. Everything he does, he says, is so that his children can have the best opportunities to thrive and continue to live a good and meaningful life here in the United States. 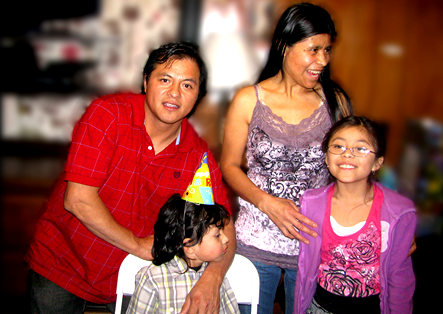 Click here to sign the petition to keep Silverio with his family!